Teeth Whitening has boomed in popularity over the last decade and the market is now flooded with cheaper, less effective alternatives. Yet it remains one of the most popular & cost effective ways to achieve a smile rejuvenation. 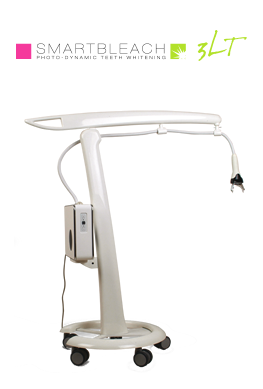 We feature one of the most advanced teeth whitening systems on the market. 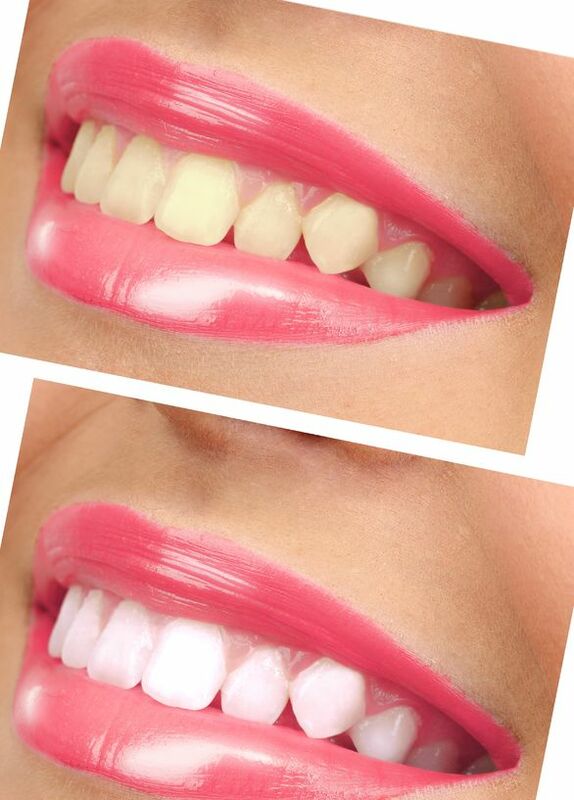 Smartbleach 3Lt utilizes green and blue wavelengths of light along with a red coloured gel which accelerates the chemical change of the tooth resulting in whiter and a longer lasting colour change. When asked to rank the features which make an 'attractive' face. 60-70 percent of people identified an attractive smile as one of them. Veneers can help in this regard and are an attractive option both financially and visually! These are small facings (a little like fake tooth-coloured fingernails) that go on top of the tooth. They're usually only done on the front teeth to improve how they look and they can be developed in a laboratory with porcelain, or done in-chair. Your dentist can talk you through the pros and cons of each. These are a niche product service where a small crystal and aluminium 'gem' is attached to the tooth. They sparkle and can come in a variety of colours. They're a temporary, painless procedure with zero tooth preparation or drilling and can give character and a unique identity to a person's smile. Dental implants have been one of the most significant developments in modern day dentistry. Being less invasive, they can replace single or multiple missing teeth to improve the chewing and aesthetic function. The procedure involves the placement of the titanium fixture in healthy jaw bone and a cap crown to replace the tooth in the mouth. A crown is like a cap or helmet that covers the weak part of the teeth which have been heavily filled, treated with a root canal, or repeatedly need fillings. If these teeth are important for chewing function or aesthetics, then a crown can protect them from irreversible damage with their strength and natural form. Crowns are usually made from either porcelain ,gold or semi-precious alloys. 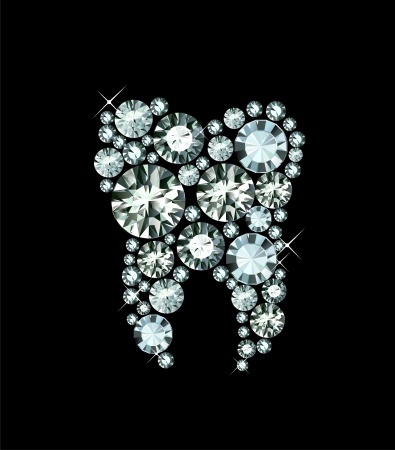 Although porcelain crowns are the most popular option as they resemble natural teeth. Gold crowns may also be recommended due to their strength and longevity. Crowns are a durable option and can last for many years. A bridge is used to close a gap and replace the missing teeth or tooth with adjacent teeth capped to provide the support . Similar to the literal meaning of the 'bridge' it connects two natural teeth and spans the gap. Since the introduction of implants, bridges are considered more 'invasive' (Damaging) as it may involve cutting into healthy teeth on either side to close the gap so your dentist may recommend or encourage an implant to reduce damage to perfectly good teeth. A Maryland bridge is another bridge option especially for front teeth which is a little more conservative. Instead of completely capping the teeth on either side to support the bridge, a maryland bridge has small 'wings' or tabs that span to the back of them and thus require less invasive treatment. Orthodontics is the process of straightening teeth and new technologies is completely changing the public perception of 'getting braces'. 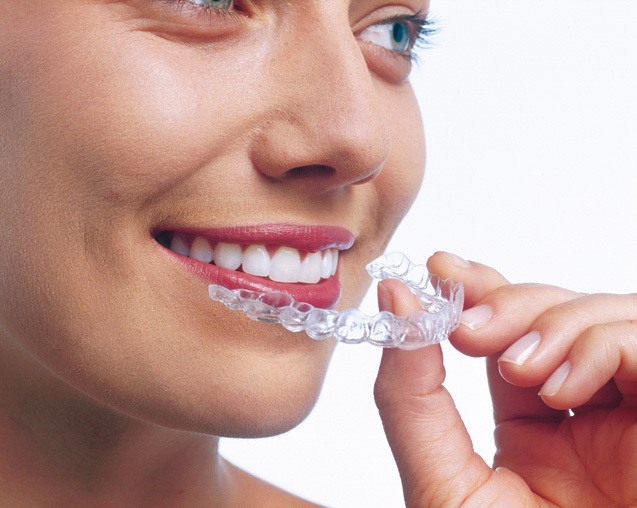 Invisalign is a popular alternative to convectional braces for some patients. 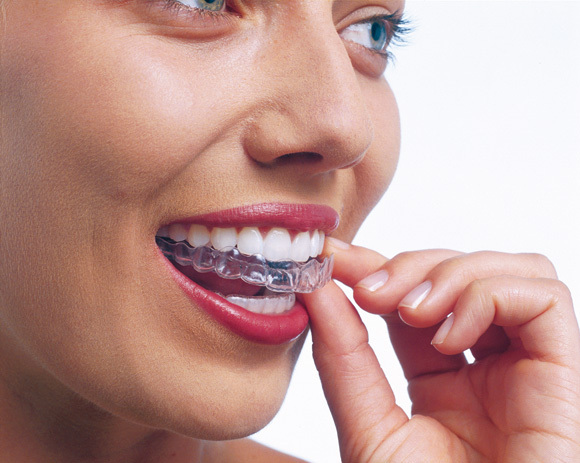 It involves wearing of clear removable aligners that are almost invisible in a sequential manner. With each new aligner in the set changing the teeth position a little more each time until they're all in the right place. Early diagnosis and treatment of children as young as 7-8years can prevent future complications and also help with potential cleaning difficulties. 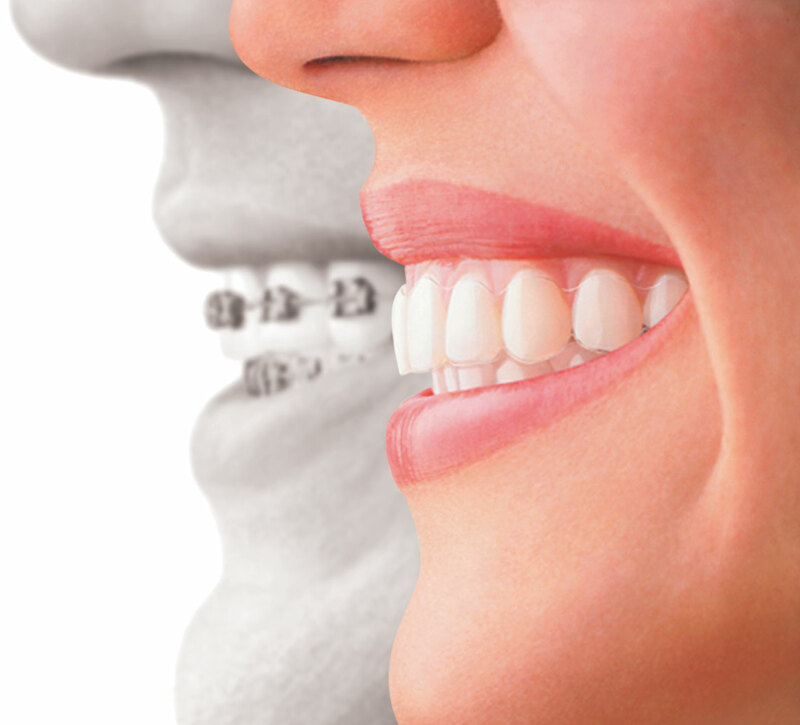 At Bluewaters Dental Care we can spot the signs where getting earlier braces may be worthwhile. We look for signs of breathing difficulties, early signs of jaw growth discrepancies, early indication of potential severe crowding, signs of teeth becoming impacted and growing in the wrong direction, cross bites and missing adult teeth. 'Myofunctional' trainers are removable mouthguard-like appliances which are designed to stop non-functional habits like mouth breathing, thumb sucking, tongue thrusting that can make the teeth go out of alignment. They can be recommended in very early cases so come speak to us about your concerns. We take pride in our cosmetic services and strive to deliver a result that not only looks great, but also can change the way you feel about yourself! Get in touch to ask about what we can do for you.